If we wait for the storm to pass, we will be doing a whole lot of waiting. Sometimes, it seems as though we are moving from storm to storm and there is hardly ever a perfect moment. If lives were perfect we would live in a utopia with nothimg to ever worry about, however the reality is that we live in an imprefect world. We are complex beings and do not always make the best choices as a people. Life has good and bad consequences to every decision or indecision. To get through it we have to be ready for the difficult times. We have to be ready to weather them, work through them, and or actively work to get out of them. With every step and every action we also have to remeber to live, to capture and enjoy the beautiful moments and take advantage of the blessing placed in our lives in order to make it all worth it and appreciate it. 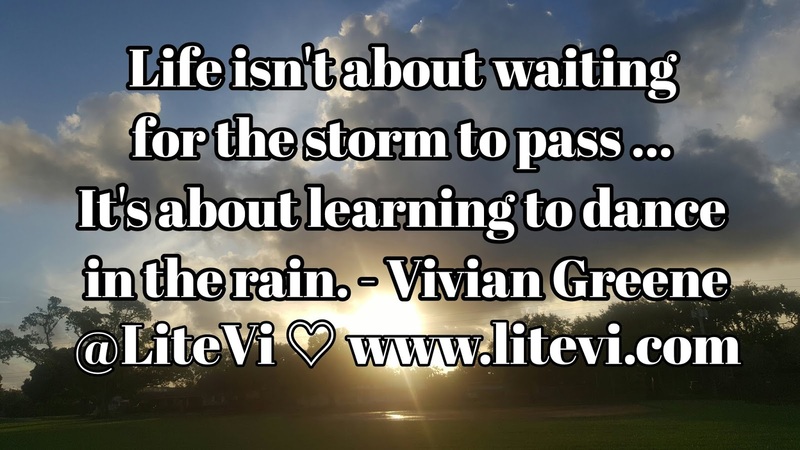 We are not waiting for a storm or going through a storm. 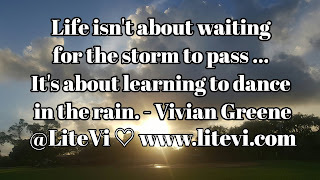 Life is the storm, so get your dance on.